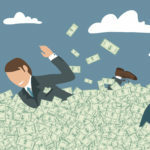 Home » Dangers of Payday Loans » Will Payday Lenders Take You to Court? Called by many names, payday loans, deferred deposit loans or check advance loans are short-term, high-interest loans that are usually for $500 or less and are appealing to those who need a quick fix until the next payday. 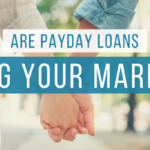 However, with rates that can be as high as 400%, it’s unfortunately fairly common for borrowers to drown under the quickly mounting debt that come with payday loans, making it difficult to repay and recover. 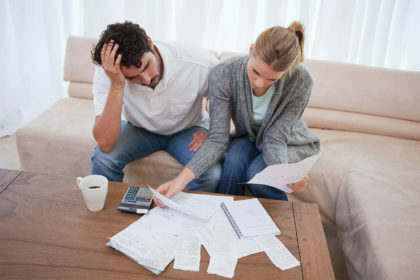 If you don’t pay back your loan, also known as “defaulting” on a loan, there are many consequences including automatic withdrawals from your checking account – and the subsequent aftermath, such as NSF (Non-Sufficient Fund) charges – a hit to your credit report, repeated calls from collection agencies and a lawsuit. Yes, a lawsuit. It is very likely that you will be sued in civil court for the overdue amount, even if it is for a small amount. Don’t think for one second your loan is “too small” to be bothered with. Additionally, once a court judgement has been issued, your property can be seized and sold to pay off your loan. Because judgements are viable for 10 years in most states, any property that you attain within the next decade can be used to satisfy your debt, as well as bank account levies and wage garnishment. A word of caution, never ignore a court order. If you don’t appear in court to discuss a settlement plan, the creditor can now go after you with the backing of the legal system. While payday lenders can take you to court, it’s important to understand that failure to pay back a payday loan is not a criminal offense, and you cannot be sent to jail, unless you deliberately took out the loan with no intention of paying it off. 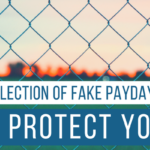 Yes, a lawsuit is possible, and even probable, but threatening a borrower with a criminal arrest or jail time is illegal under the Fair Debt Collection Practices Act. Callers may even identify themselves as law enforcement officers or say they are reaching out on behalf of a government agency or law office to allude to pending jail time. Should you be threatened, the Consumer Financial Protection Bureau recommends contacting the office of your state attorney general. However, there have been some instances whereby payday lenders have been able to use bad-check laws to successfully file criminal suits that mistakenly get through the legal system. So again, never ignore any orders to appear in court because even if the criminal complaint was filed erroneously, civil court orders are legitimate and likely when it comes to loan defaults. Getting help before or when you get sued. As looming financial debt is understandably overwhelming and stressful, the professionals at Real PDL Help are experts at putting your mind – and finances – at ease. 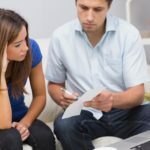 As experts in the payday loan industry, we can consolidate multiple loans so you have more manageable payments, assist with your budget so you can ensure your daily necessities are met, get lenders out of your bank account, put a halt to the endless phone calls and arm you with knowledge that will put you back in control. *We DO NOT charge service fees until AFTER we (a) reduce, settle or change the terms of each debt, (b) have a written agreement in place, and (c) ensure that the creditor(s) have received at least one payment. We are not a law firm, and we do not provide legal advice. Please consult with an attorney if you are seeking legal advice or you have questions about collection efforts against you. Real PDL Help does not offer services in every state. Advance fees are not charged prior to re-negotiating customers debt. Results may vary.